Two father and son teams with years of experience in residential and commercial construction came together in 2005 to focus strictly on new home construction. 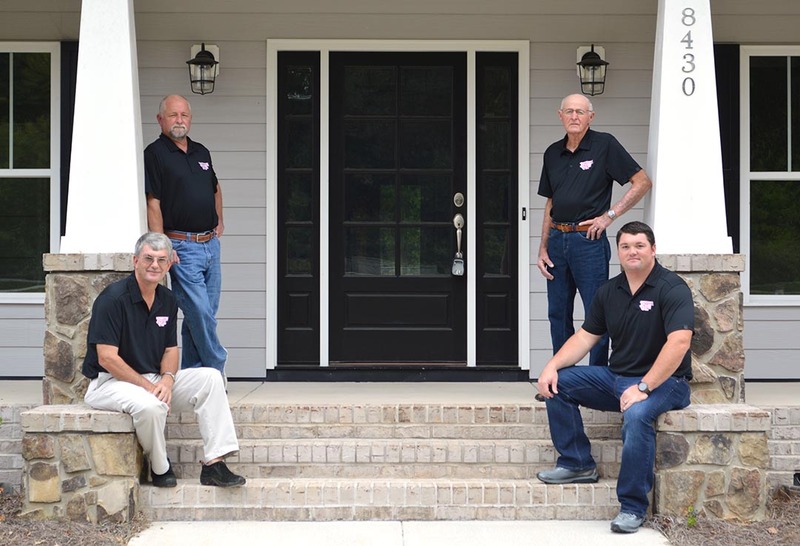 Rick & Mike Lee with Commie & Casey Johnson are four licensed contractors in the Triad that bring over 100 years of combined carpentry and new home construction expertise. Member of National Home Builders Assoc. In 2005, fine construction contractors, Commie Johnson and Rick Lee teamed up to combine their talents and offer quality residential new home workmanship, founding Johnson & Lee, LLC. Rick Lee has been building residential new homes for 50 years and his son Mike, for 27 years in the Triad. Commie Johnson was in the commercial building industry for many years so combining their ingenuity in custom and complex construction building along with a lifetime of being fellow church members, just made sense. Especially with these men passion for residential new home construction and being lifelong local residents of Oak Ridge, they created Johnson & Lee LLC. With their continued success as custom home builders, their sons, Casey Johnson and Mike Lee, quickly joined the local, family run business. Each of the Johnsons and the Lees enjoy the creative side of building homes and incorporating their own personal style to create a truly one-of-a-kind custom home building experience. It is no surprise that this four men – father with sons team, is one of three top custom home builders in the Triad by the Northwest Observer. Saturday and Sunday by appointment. Subcontractors that are loyal and dedicated who have been with Johnson & Lee LLC. for many years. Why Choose This Custom Home Builder Team? We specialize only in new custom home construction and in construction financing. We can build your own new custom built home on any budget! Because Johnson & Lee LLC consist of four highly respected licensed home builders, with combined experience of over 100 years, higher financing options are available with their combined credit limit. Lots to purchase are available through Johnson & Lee LLC. Johnson & Lee LLC can be your one-stop-shop in purchasing land for sale to build your new custom home, build your dream home, and provide proper budgeting with special construction financing. Get in touch below. Ask any questions or set up a complimentary consultation now.